Ready to build repeatable pipeline and accelerate growth? You want growth, explosive-growth, the kind of growth that can be seen from weather satellites. This book will put you on the path to building accelerated pipeline with sales development. You were an A-player and are ready to be an amazing coach. This book will share strategies, stories, and a system to ensure that your team is a lean, mean, pipeline-generating machine. This isn’t your first rodeo, but that doesn’t mean you aren’t hungry for new thinking. This book will rekindle your passion and give you new ideas and approaches to achieve your best year ever. It seems like everyone is talking about this thing called “sales development.” If any company where you work, advise, or invest cares about building new pipeline, then this book is for you. Strategy Part 1 shares a framework for thinking about how to align your sales development model with your specific market dynamics and buyer’s journey. Specialization Part 2 presents stories of innovative companies applying new thinking.You’ll learn about segmenting your prospect universe, specializing roles, and how it all comes together. Recruiting Part 3 shares a roadmap for hiring with urgency and attracting top talent: recruiting tactics, compensation, and a bulletproof hiring process. Retention Part 4 goes deep on the stuff that never seems to get enough consideration: engaging, developing, and motivating people. Execution Part 5 switches gears and present strategies and examples for onboarding, crafting buyer-based messaging, and designing effective outreach. Leadership Part 6 gives actionable advice on what it takes to lead sales development today: setting quota, measuring what matters, and acceleration technologies. "People get hung up on the wrong questions around sales development: templates, tools, and tricks. The Sales Development Playbook asks and answers the right questions. If you're looking to increase qualified pipeline, read this book." "There’s a reason for the rocket on the cover – do these six things right and your team’s revenues will take off!" "If you want more revenue, read this book. Trish has managed to give away ALL of the secrets. If you're looking for research, examples, and bold thinking, look no further." 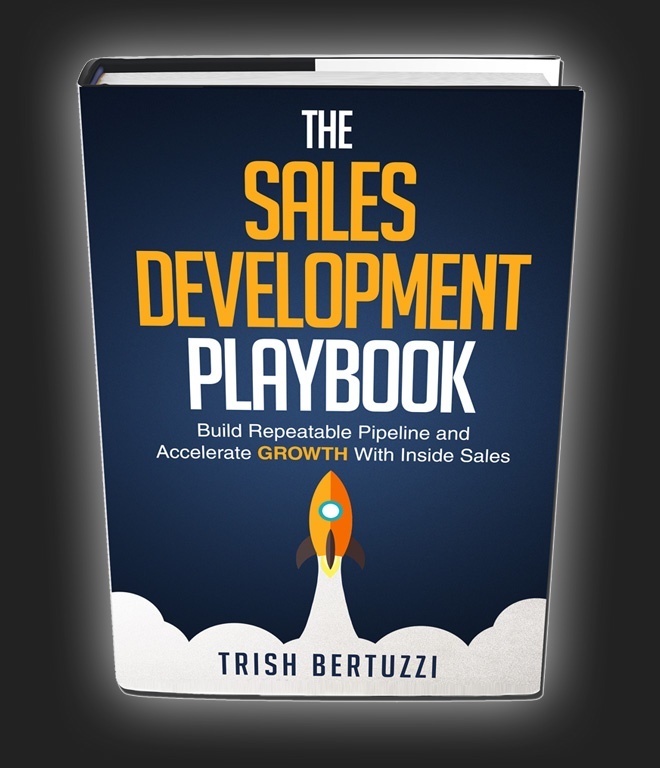 "The Sales Development Playbook just earned a spot on my bookshelf of must-read sales books! Having a go-to book for Senior Leaders and Managers is a gift."